Q. Over the last few entries of The Legal Lens, we’ve been discussing contract issues. However, something has come up that I’d like you to address, particularly since I understand the issue may be time sensitive. What can you tell me about orphan works? A. The term “orphan works” relates to copyrightable works where it is difficult or impossible to identify or locate the person who created the work. If the person who created the work cannot be identified or located, then there is no way to obtain consent or a license to use the work. As such, a person wishing to use an “orphan work” must make a difficult decision: use the orphan work and potentially face liability for copyright infringement or select a different work where it is possible to locate the author and obtain consent and/or a license. According to a notice issued by the Copyright Office in October, the “[Copyright] Office has long shared the concern with many in the copyright community that the uncertainty surrounding the ownership status of orphan works does not serve the objectives of the copyright system. For good faith users, orphan works are a frustration, a liability risk, and a major cause of gridlock in the digital marketplace.” As it did a number of years ago, the Copyright Office is calling for comments regarding the “orphan works” issue. The last time the Copyright Office called for comments, proposed legislation (the Shawn Bentley Orphan Works Act of 2008) followed that had the potential to significantly impact the rights that copyright holders currently enjoy under the law. We’d all like to think that someone who wants to use our images will be able to find us. For those of us who are meticulous about using copyright notices and may have a presence on the web, it may be possible to locate the photographer who holds the copyrights to certain works. However, that’s not always the case, and since many photographers register batches of images with each registration, the Copyright Office database may not be helpful for locating the photographer who created a specific image. According to testimony that various university librarians submitted the last time the Copyright Office called for comments, the problem is a very real one: Cornell University’s librarian reported that the library’s collections include more than 350,000 unpublished photographs that it would like to make available, but only 1% of the photographs include any indication of who created the image; the University of California, San Diego librarian reported that only about 4,000 of the more than 100,000 photographs in its collection could be made accessible over the Internet. Q. Why does it seem like this issue is more of a recent phenomenon? A. In many respects, it is a recent phenomenon, since it relates to the fundamental change to copyright law brought about by the current Copyright Act (the Copyright Act of 1976 as amended). Under the current Copyright Act, the copyright system underwent a fundamental change. 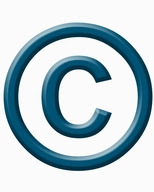 Prior to the current Act, the copyright system was an “opt-in” system, meaning that if you wanted to protect your copyrights, you had to register the work with the Copyright Office (you also had to use the copyright notice to put people on notice that the work was subject to copyright protection). With the current Act, the system changed to being an “opt-out” system in which all works are subject to copyright protection from the moment they are “fixed” (is saved in a sufficiently permanent or stable state to permit it to be perceived, reproduced, etc.—a digital photograph is “fixed” when it is saved to a memory card) unless the person creating the work elected to opt-out of the copyright protections. The shift from an opt-in to opt-out system was further complicated by a change in the Act relating to the use of the copyright notice. In order to make U.S. Copyright Law consistent with international law, the requirement of using the copyright notice was dropped for all works published after March 1, 1989. Q. You mentioned that legislation was proposed to address the issue. What happened with the legislation? A. A version of the legislation passed the Senate, but went no further. While the legislation was pending, the NPPA spoke out against it. Various organizations, including the APA, Editorial Photographers, Stock Artists Alliance and ASMP also issued releases opposing the legislation. For a more detailed discussion on some of the problems in that legislation, see my article that appeared in December 2008 Digital Photo Pro magazine entitled “Orphan Works Explored: How will changes in copyright law affect you and your rights over your photography?” (available on the web: http://www.digitalphotopro.com/business/orphan-works-explored.html ). Q. What should photographers do to have their viewpoints on the orphans work issue considered? A. The Copyright Office has called for comments regarding the issue, and those comments are due no later than January 4, 2013 at 5pm. Comments must be submitted electronically, and the Copyright Office has set up a page specifically intended to be use for such submissions (http://www.copyright.gov/orphan/comment-submission/). If you have an opinion or viewpoint on the issue that you would like to have considered, you should submit comments to the Copyright Office. If you are a member of an organization such as NPPA or ASMP, you may wish to check with the organization to see if it is preparing comments for submission. While those comments may not mirror your own viewpoints on the issue, they may highlight certain issues that will better inform the comments that you ultimately submit to the Copyright Office. Samuel Lewis is a Board Certified Intellectual Property law specialist and partner at Feldman Gale, P.A. in Miami, Florida, and a professional photographer who has covered sporting events for more than twenty-five years. He can be reached at SLewis@FeldmanGale.com or SLewis@ImageReflex.com. Note: The information appearing in this blog entry is not, nor is it intended to be, legal advice, and should not be construed as such. Rather, the information is provided solely for educational purposes by providing general information about the law. This blog is not a substitute for legal advice from an attorney licensed to practice in the state where your business is based or where you live. Photography Is Not A Crime: Carlos Miller's Attorneys Prove it Again. Miami freelance photographer Carlos Miller likes to challenge authority. Many people say he is a “jerk”. He is a “bit” adversarial when it comes to police press relations and has been cuffed three times for it. But there is no law that says, you can't be a jerk. 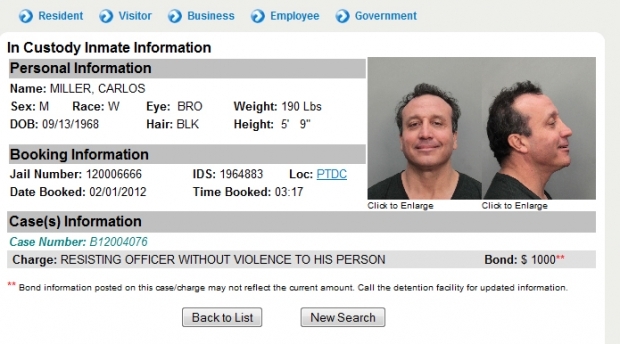 Miller was arrested while documenting city and county police officers evicting Occupy Miami protesters last January. In the days leading up to the eviction, police kept tabs on Miller's Internet posts and singled him out for arrest. Nine months after his latest run in, the verdict is out. On Thursday, November 8, Miami-Dade County jury found Miller not guilty for resisting without violence when confronted by Miami-Dade Police Public Information Officer Nancy Perez. Arrested by a public information officer? That alone should raise a few eyebrows and question what the heck is really going on here. According to a paraphrase on Miller’s blog, the prosecutor told jurors, a real journalist is supposed to follow police orders without a second thought. A real journalist would never back talk to police. A real journalist would never question a direct police order as to why he was not allowed to stand on a public sidewalk. One of Miller’s defense attorneys, Santiago Lavandera, delivered a slam dunk, high five closing statement that went like this. “In this country, when you’re a journalist, your job is to investigate. Not to be led by your hand where the police want you to see, so they can hide what they don’t want you to see. He did his job. He has the right to do his job the way he sees fit. It’s not up to these prosecutors to tell anybody, much less an independent journalist, how to do their job. It’s not up to the police officers, it’s not up to a judge or the president. In this country, journalists do their job the way they see fit.